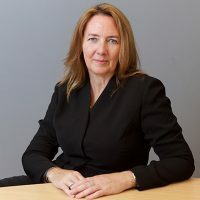 Amanda is also the Immediate Past President for the Royal Institution of Chartered Surveyors (RICS) becoming the longest serving in 123 years where her themes as President were; Infrastructure, Cities and the War for Talent (skills, diversity and inclusion). Amanda is a Fellow of the RICS, the Association of Project Management, the Institute of Consulting and the Royal Society of Arts. She is a Certified Management Consultant and Companion of the Institute of Management. In addition, Amanda is listed in Who’s Who, was also named by the ICAEW as a Mover and Shaker of 2015 in the ICAEW’s Global Finance 50, as well as City A.M.‘s Power 100 Women list 2016, PropTech Top 100 Global Influencers 2017 and has won numerous other Awards. She has now co-authored two books on Diversity and Inclusion in Real Estate and Construction. Amanda is a regular speaker globally on the cities agenda having spoken at the MIPIM opening 2018 and will also speak at the Future Investment Initiative in Saudi Arabia later this year.